Hedge Funds & Poison Pills: Can typical hedge fund activism really be considered a reasonable threat under Unocal? At a time when hedge fund returns have been stagnating and failing to meet expectations in the period from 2004-2007, they have also attracted significant amounts of capital as investors have eagerly sought to secure above market returns.1 Pressured to perform in the wake of the 2008 financial crisis, hedge funds have turned to shareholder activism as a means of maximizing profits and increasing their returns on investment, seeking to influence corporate policy and, if necessary, hold underperforming managers accountable.  With significant amounts of funds available at their disposal, they have the means to pressure management and directly influence corporate policy through the use of proxy contests. However, despite the recent legal reforms and court decisions that have deregulated proxy contests, poison pills has proven to be a daunting antitakeover mechanism, inhibiting a hedge fund’s ability to wage cost effective proxy contest without tying up large amounts of funds. Moreover, under Unocal, management may avail themselves of the business judgment rule if they are able to prove that the perceived a reasonable threat to corporate policy and took a proportional response to threat. 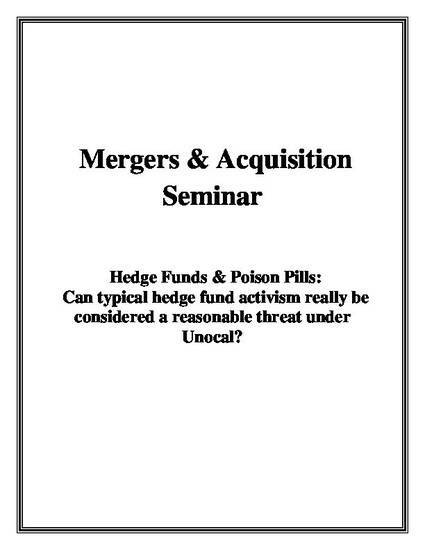 Therefore, in order to acquire an in depth understanding of the intricacies over whether hedge fund activism can really be considered a reasonable threat to corporate policy under Unocal, this paper will discuss (I) hedge funds as active investors, (II) the necessity of shareholder activism, (III) the specificities of hedge fund activism, (IV) how activist hedge funds influence corporate policy, (V) potential concerns over hedge fund activism and (VI) the poison pill as a deterrent to hedge fund activism activism.